Not a go-fast boat by any stretch of the imagination, Mistress gave us a comfortable sail and a brief glimpse into a slower life. 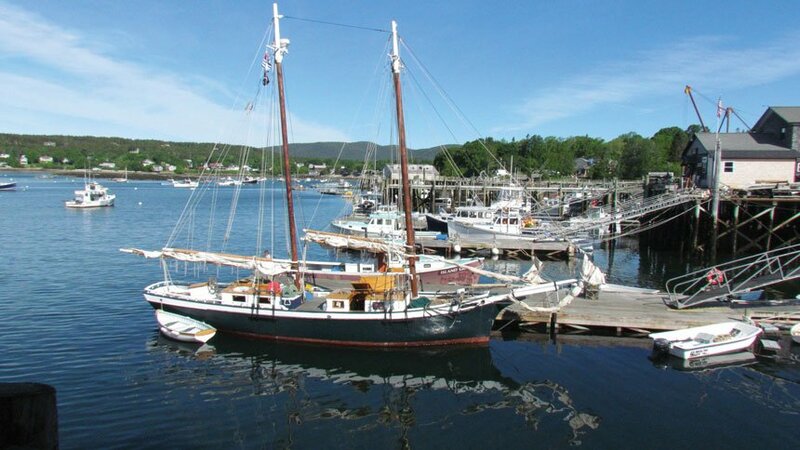 Built in 1960 and restored in 1992, Mistress was based on a gaff-rigged schooner design of the 1930s. It accommodates six passengers in three cabins. We arrived in the historic village of Camden, Maine, on the shores of Penobscot Bay, on a sunny afternoon in time for happy hour aboard followed by dinner ashore. The next morning the scents of freshly baked muffins and coffee brewing in the galley teased us awake. After the captain’s safety meeting, the crew loaded final provisions and brought the dock lines aboard, and we were underway. Curtis Island Lighthouse stood at the entrance to Camden Harbor to see us off. 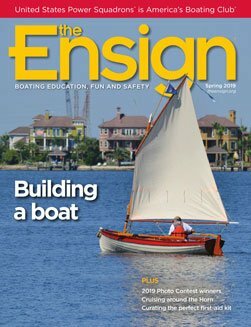 By midday, the wind cooperated, and we sailed on an easy reach through the islands dotting the entrance to Eggemoggin Reach, under the 85-foot-high suspension bridge leading to Deer Isle and a quiet anchorage off the Wooden Boat School in Brooklin. 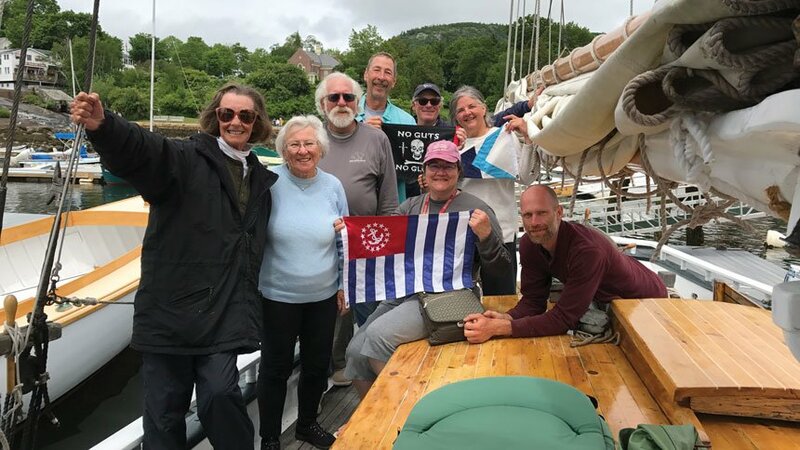 After navigating the Casco Passage southeast of Brooklin, we sailed south of Mount Desert Island, passed Bass Harbor Head Lighthouse to port, and sailed into the upper reaches of the fjord-like Somes Sound to a secluded anchorage off the sleepy village of Somesville. We took a brief sojourn in Southwest Harbor to dump the trash and shop for lobsters before heading south on the Gulf of Maine to Swan’s Island and through the southeastern rock-strewn passage into Burnt Coat Harbor. After four days of sunny and breezy sailing weather, Friday dawned to chilly drizzle for the crossing to Rockland. Hot coffee and fresh-baked blueberry muffins helped mitigate those cold drops down the back of one’s neck. Despite being socked in Saturday and Sunday morning, we eventually caught a four-hour shuttle bus ride to Boston Logan International Airport in time for our flight back to Florida. David Mangold and his wife, Cathy, have been involved in United States Power Squadrons since the early 2000s in San Diego, California, with several ocean-capable vessels. After a sojourn in Utah working and exploring Lake Powell, they moved to Sebastian, Florida, to care for elderly parents, and are active members of Sebastian Inlet Sail & Power Squadron in District 8. David holds a U.S. Coast Guard 100-ton Master’s License.